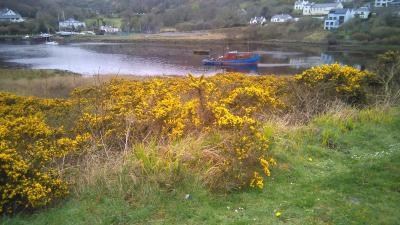 Lock in a great price for Clifden Hostel – rated 8.5 by recent guests! 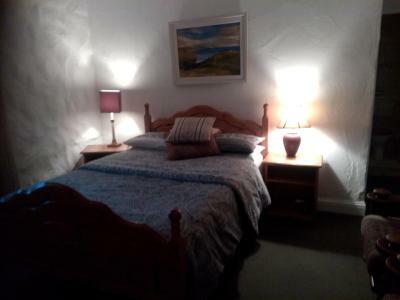 Comfortable beds, quiet and clean, good breakfast, and the staff/hosts were wonderful-friendly and extremely helpful in giving information and advice. 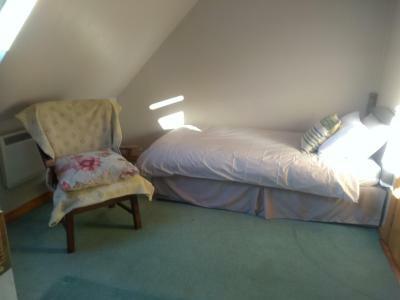 Lovely comfy beds. Super clean. Very quiet. Ideal location. 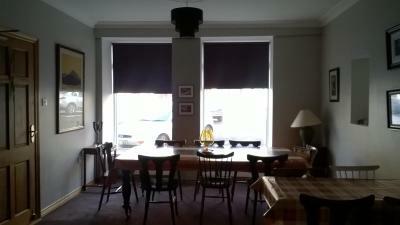 Top marks to the owner for the friendliest warm welcome we will definitely be back again. 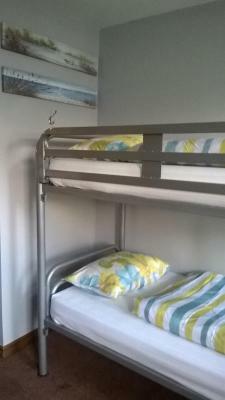 Lovely, privately owned hostel in the center of town. 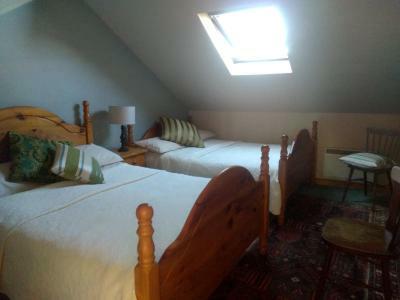 We had a private room with a double bed with a skylight above the bed. There were shared bathrooms that we never had to wait for. 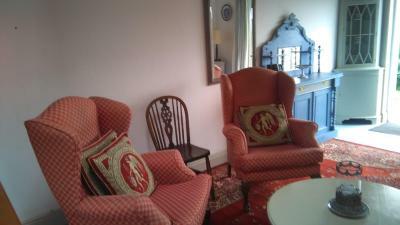 We appreciated the common room with tables and some comfortable chairs. Good breakfast. We didn’t cook in the kitchen but liked having access to the fridge to keep our food in. Very friendly owners. Several staff people were encountered but Sean was a refreshing standout. He was most gracious in all situations with every guest request or problem. He spoke French and Spanish as well as Gaelic fluently and he's learning Turkish. He was a great help with advice and directions. 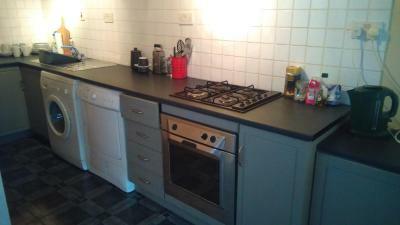 Sean did not feel the compulsion of previous staff to lock down the hostel kitchen during the day. 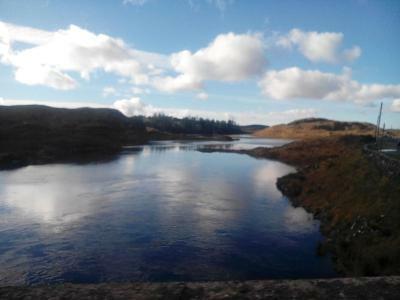 The hostel is located in the very heart of Clifden. 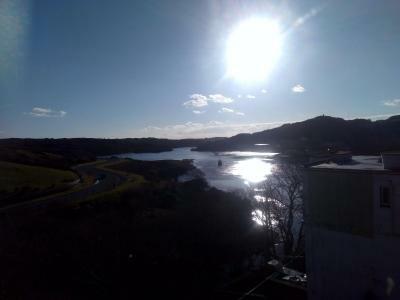 Really nice, quite place. 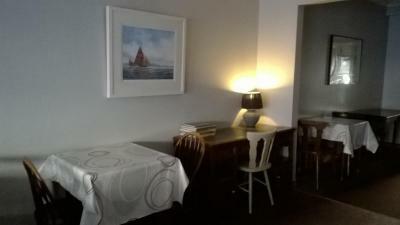 Clean and warm :) Helpful staff, delicious breakfast, games at living room and great place for tourism - near to bus stop and tourist psths. Free luggage storage If needed. 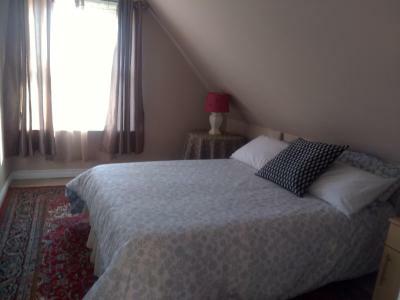 Comfortable bed, clean lodgings, a hearty breakfast, and friendly, helpful owners...will be back and will recommend to friends. 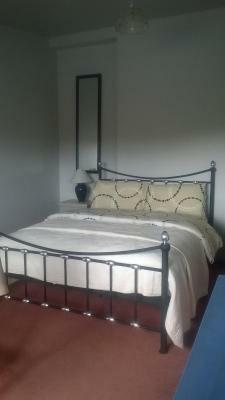 Bed was comfortable, room was very clean and staff was friendly. A good thing about the room was that as the window was just over my head when i laid down in bed i could see shooting stars before i slept. It was a nice experience. 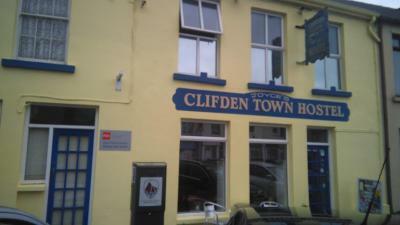 Offering free WiFi, Clifden Hostel offers accommodations in Clifden, 2.9 miles from Alcock & Brown Memorial. 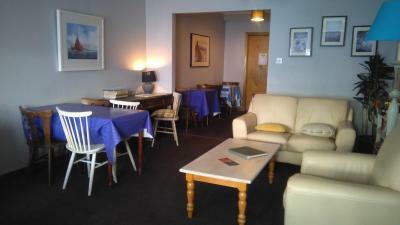 The hostel has a shared lounge. 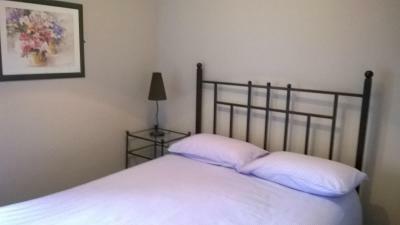 뀐 Located in the top-rated area in Clifden, this property has an excellent location score of 9.5! 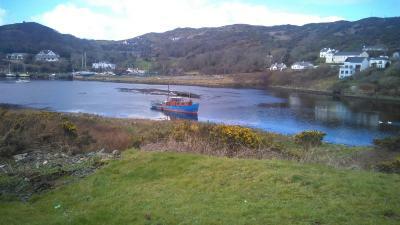 When would you like to stay at Clifden Hostel? 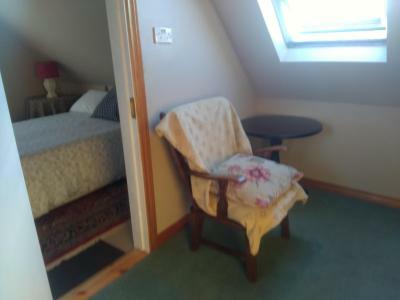 This dormitory room features a electric kettle, stovetop and tea/coffee maker. Free Light Breakfast… Free Wi-Fi… Free Overnight On Street Parking… Bus Stop 50 meters Clifden Town Hostel is a small friendly hostel offering a warm welcome to all of its guests. 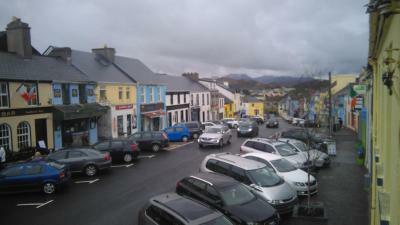 Located on Market Street in the centre of Clifden the hostel offers good value and location for visiting Clifden and Connemara. 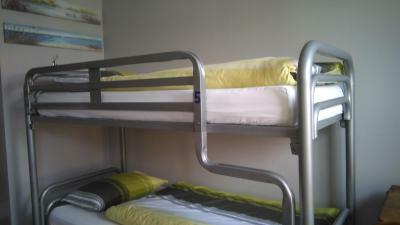 The hostel has a self-catering kitchen and a dining room and common room for guests to use and meet fellow travellers. 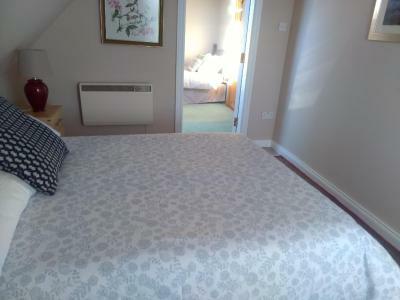 All of the bedrooms are bright and airy and some offer sea views. Wi-Fi is available throughout the building and free on street parking available from 18.00 in the evening to 11.30 in the morning. 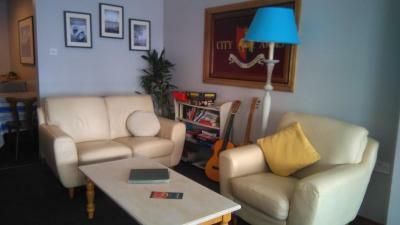 House Rules Clifden Hostel takes special requests – add in the next step! The shower is dreadfully dirty. 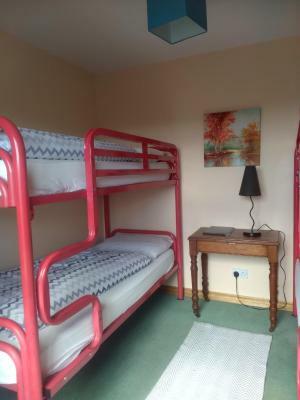 I had booked a private twin bed room on line months in advance of our trip to Ireland. 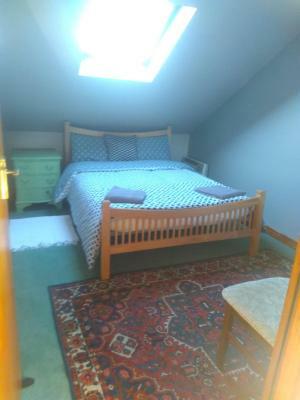 A room with a double bed was not an option. At the reception desk I was handed the keys to our room. I was never shown the room. 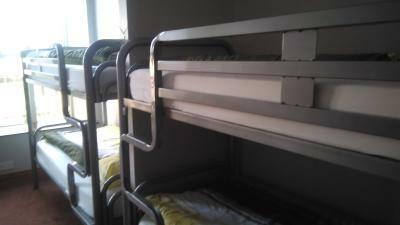 When I opened the door I was greeted with two sets of bunk beds. 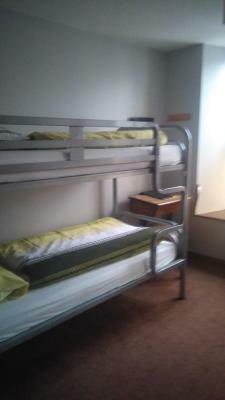 This room was a very narrow dormitory room. Would we be sharing the room? 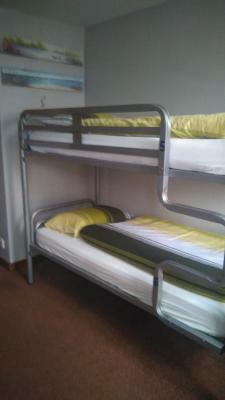 I hate bunk beds. 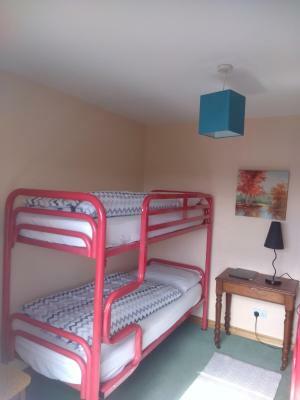 I complained to the management but was met with resistance and the explanation that the room will be private even though there are other beds and that the beds are, in fact, separate twins. At this strange logic I gave up my case. 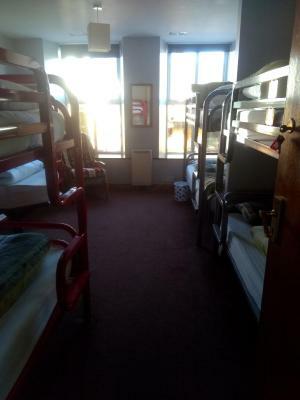 Subsequent peeks into other rooms revealed nothing but bunk beds in all of them. 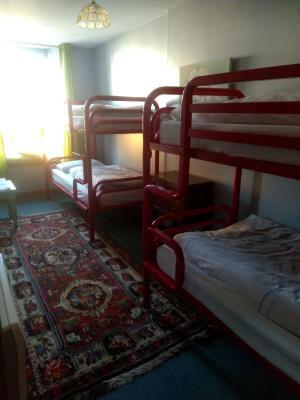 I asked if there were any private rooms with double beds. Secretive silence was my answer. 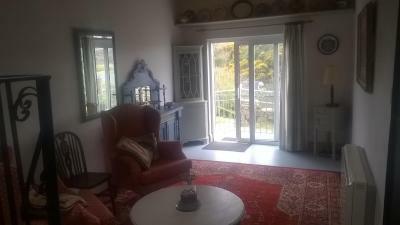 The dining area and kitchen is locked after breakfast at 10:00 until 16:00. Very inconvenient when you have shopped for food and need to stow it in the refridgerater. Kitchen storage space is limited. Access to the kitchen is even barred during the breakfast hours of 8:00 to 10:00. Our room was right over the front door which bangs loudly when people entering and leaving allow the door to close on its own. The door needs a piston to slow its closure although this would chill the reception area. Small bathrooms with tight s100howers. If you don't close your window you can hear pleople in the street after their night out.